A simple and delicious IMMUNITY BOOSTING hot or cold side dish everyone will love! Enjoy fresh oranges on the side for the hot dish, or mixed right into the cold one. Place the broccoli florets in a steamer basket. Place over 1 to 2 inches of boiling water, cover and steam for 6-8 minutes or just until crisp tender and dark green. If making hot side, add red pepper to steamer basket for last minute of steaming. In medium measuring cup, add oil, garlic, thyme, orange juice, and mustard, whisk together and pour over veggies and fruit. In a small saucepan, melt the butter, add green onions, red pepper flakes, and garlic. Cook until onion is tender. Stir in cornstarch, orange juice and mustard. Cook and stir until mixture is thickened and bubbly; stir and continue to cook for 2 minutes more. 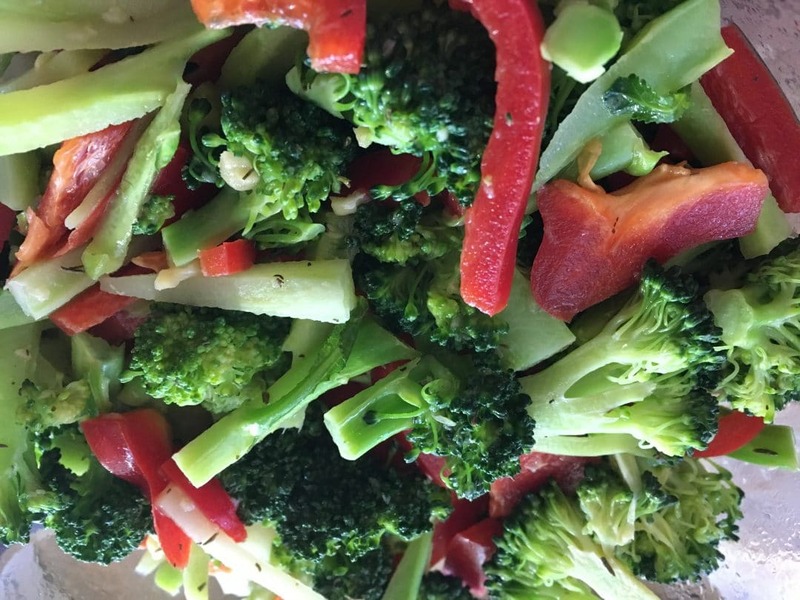 Place steamed broccoli and red pepper in a serving bowl, pour sauce over and toss gently to coat.